For the 4th of July yesterday, we didn't go anywhere or do anything huge. It was just simple. And really nice! We grilled out on the fire. And as the hamburgers were grilling we realized we never bought hamburger buns. They didn't have any. So I drove to the next gas station to buy some. They didn't have any either. So I went to a third gas station. And? Yeah, they didn't have them either. I finally ended up at a grocery store and 45 minutes later I was able to grab some buns. These are country living problems, people. 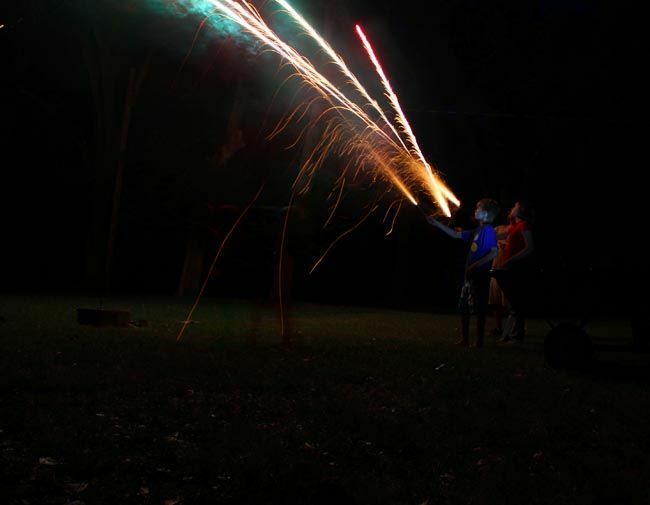 We shot off simple fireworks, ate yummy food, & enjoyed our little family. 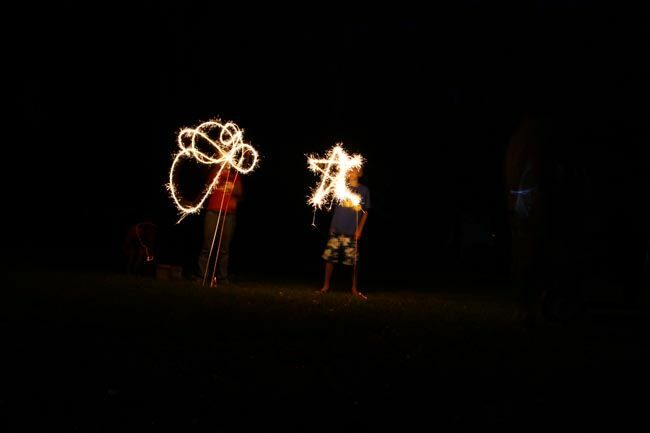 Sparkler fun. 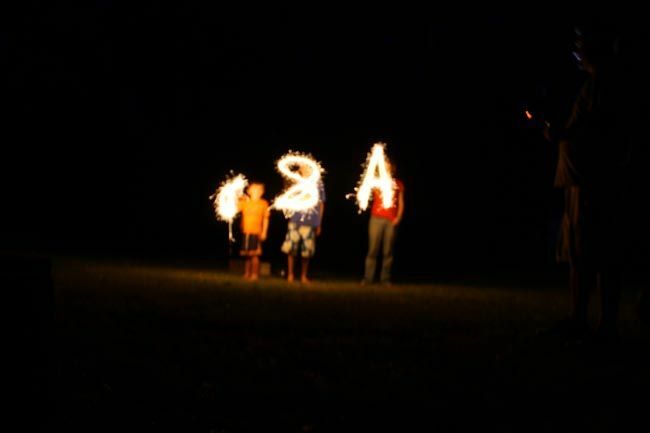 The Baby was having trouble making the U for USA. 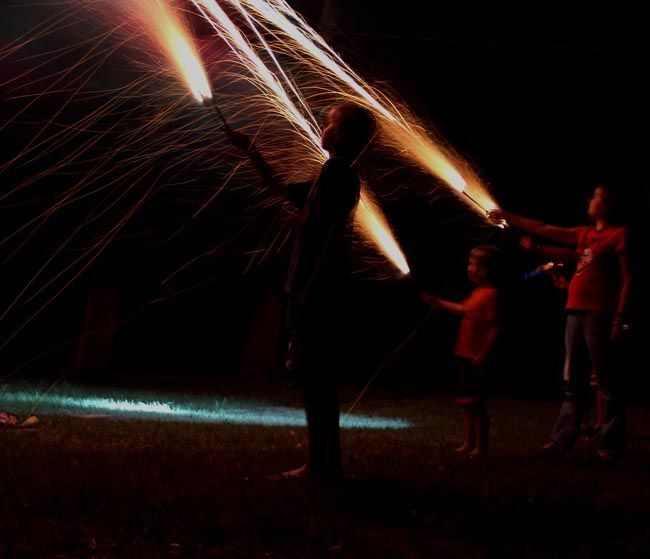 Every time the super bright fireworks would go off, we'd turn around and make shadow people on the barn: sort of like shadow puppets, but with our whole bodies! The Boy's body took up the entire front of the barn. Awesome. 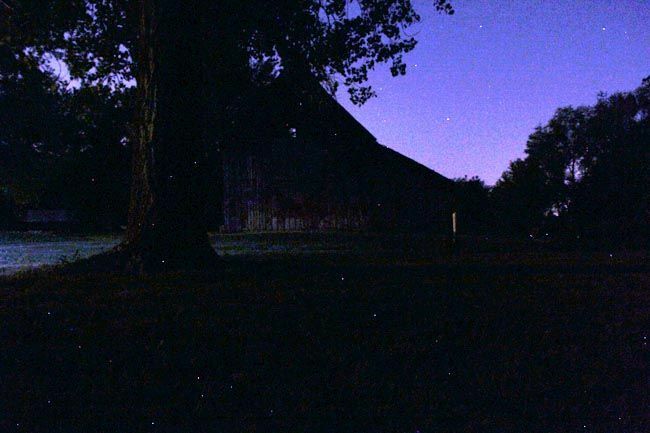 The barn at night, with fireflies all around. 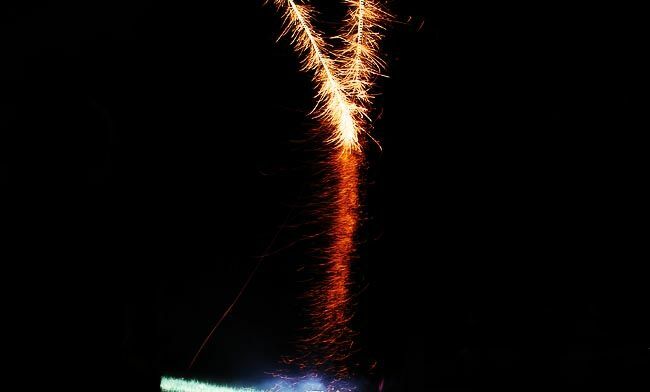 Did you have a good 4th of July? Sounds like fun...other than the crazy bun run! We BBQd with my family and homemade ice cream. 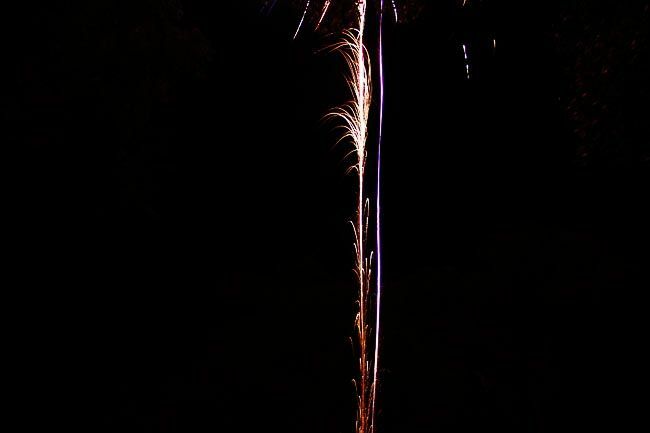 Of course, being in Colorado Springs meant no fireworks, but that was okay this year. For obvious reasons. We had a great time, anyway!